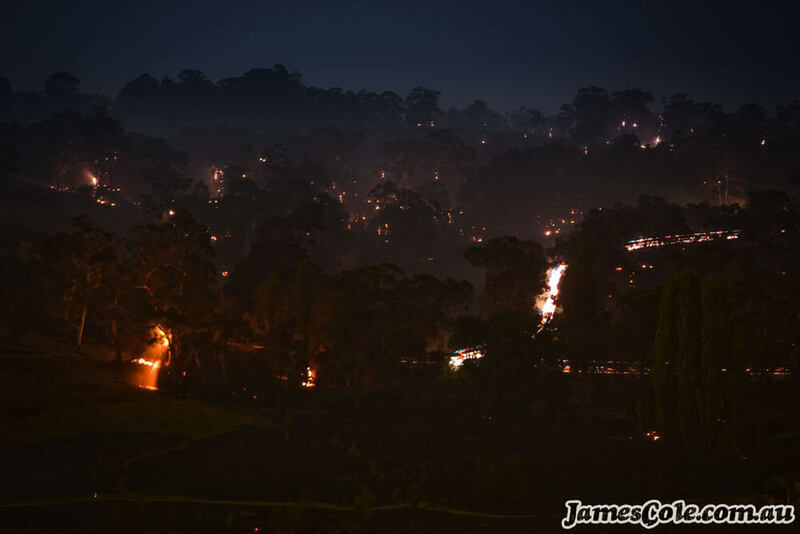 Another photo from Black Saturday, taken much later in the evening than "Black Rain". This is the aftermath. The smouldering ruins of a neighbourhood near my own. Tragic yet eerily beautiful. I stood on this hill looking down at the destruction. Mesmerised as I breathed the smoke of a thousand dreams, killed in an instant. It was a heartbreaking scene. One from which I could not look away. This long exposure captures the blurring of the lights of the fire engines as they battle to keep the glowing embers under control. In this moment, none of us knew the full extent of the destruction that had reigned this day.